10 Things I don’t like about Peru. 10) Homeless people. 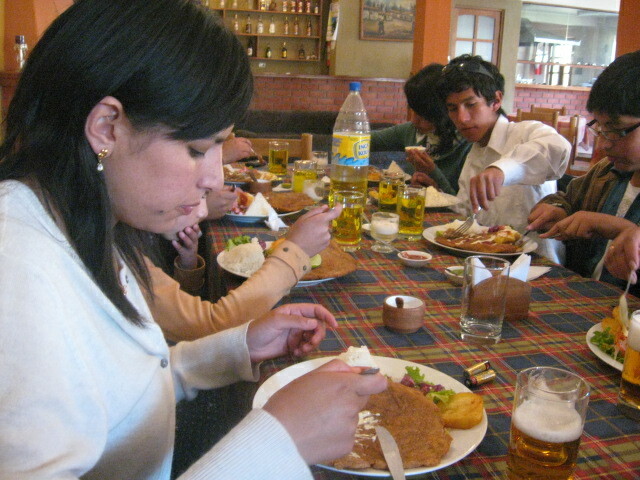 Poverty in Cusco is not bad by Latin American standards, but we could still do better. I teach kids who have nicer cellphones, MP3 players and clothes than I have, so perhaps it’s a problem of priorities, not resources. 8) Stray dogs. I love dogs but hate to see so many of them run loose in the city. 7) Garbage. This is where the stray dogs and I disagree. The typical garbage pickup routine in Peru consists of throwing the garbage on the side of the street and then having a small army of city workers clean up 3 times per week. Please somebody start using garbage cans. Update on Peruvian bureaucracy: it took nearly 6 months after moving to Peru to get legally married and over a year to get my Carne de extranjeria. 5) Old fashioned corporate culture. Big titles, dress codes and all sorts of junk even IBM and GE did away with in the 1980s are still all the rage here in Peru. 4) Education. People study all kinds of things, but are not always encouraged to apply their knowledge. My best friend used to say “It’s not how smart you are, it’s what you do with it.” It took me years to realize just how true this is. 3) Italian food, or lack thereof. 2) Pizza. Can someone from New York please move down to Cusco??? 1) Public transportation. Try fitting in a “combi” with 21 other people when you’re 6’2″! This entry was tagged Cusco, Life in Peru, Peru. Bookmark the permalink. HA! I love the line about you and the stray dogs disagreeing.